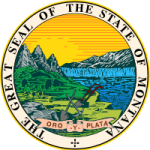 With the help of the department of health and human services child support enforcement division of Montana, there is a way you can have your way. However, it has to be investigated if you are to receive financial support from the noncustodial parent. When applying for the services in order to enforce child support, you will need to submit the relevant documents of the child and both parents. Also, you can do this if he parent has stopped contributing to child support. Step 2: Read the opening statement and understand it before you proceed to page 7. Step 3: Fill the form from part A to part H as required. Step 4: Fill in the support received or paid document and payments. Step 5: Complete the authorization to act form and sign it at the bottom. Step 6: Use this link to find the address of a local office and send the application form there.